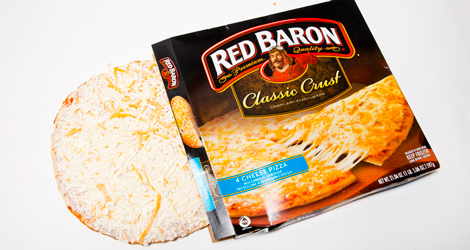 Can heavyweight freezer-aisle brands like Tombstone and Red Baron still keep up with the pack? 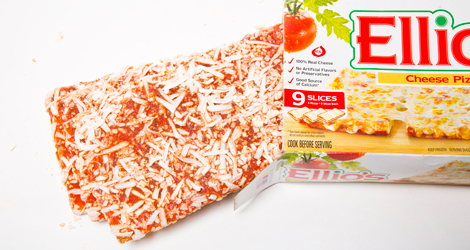 “Why frozen pizza when you can get fresh?,” asked the bodega store-owner. My back was turned to him as I eyed the freezer section, quickly realizing that it was filled exclusively with White Castle burgers, but his disapproving tone shot through me anyway. 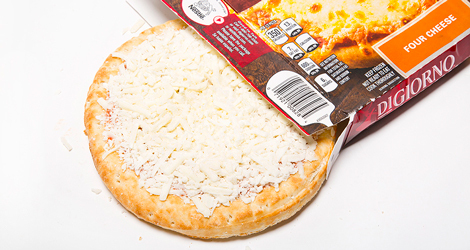 He was not the first person to harass me, to question why I, an adult man living in a city dotted with hundreds of accessible pizza parlors, would be trolling Duane Reades and corners stores in search of freezer-burned pies topped with cafeteria cheese. 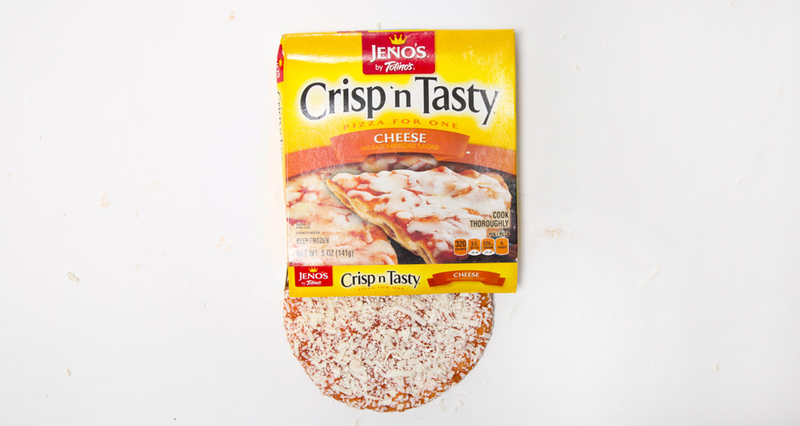 But like me, you know that frozen pizza is its own genre of pizza that shouldn’t be compared to anything else—a reliable after-school pick-me-up, a dormitory mainstay, and something that unites snackers coast to coast. The pursuit for good frozen pizza is not only purely nostalgic, though. When 4am hits and the pizza joints have closed up shop, you need a practical back-up. 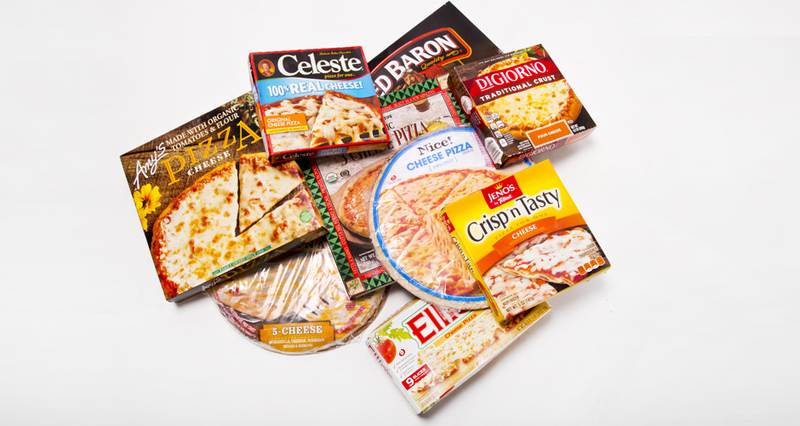 We’ve got you covered—here are nine frozen pizzas, ranked from worst to best. 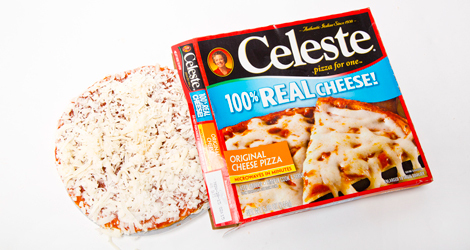 Note: To make this scientific, all pizzas were cheese and cooked in an oven according to the directions on the box. An egregious case of false advertisement. Fresh out of the oven, this pizza showed a lot of promise. 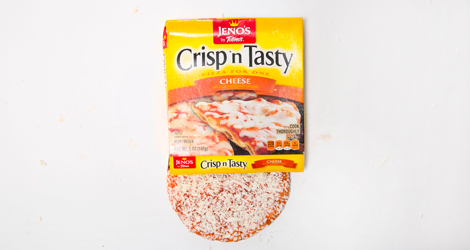 Cheese evenly distributed, bubbly crust. But the cheese was slimy and prone to sliding off the slice (a cardinal sin). My first bite felt like chewing on a thin layer of sponge material. Not crisp. Not tasty. I noted that the picture on the box makes it look like they’re marketing flatbread—it wasn’t that, either. Passover isn’t year-round, so I’m not sure why they’re trying to pass off matzoh sprinkled with cheese as legit pizza. The crust was cracker thin, but most of all, it lacked soul. 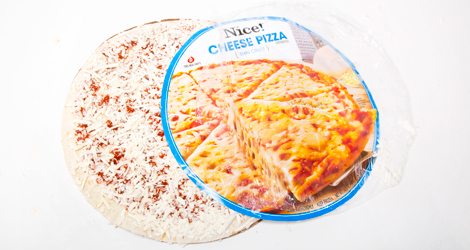 Would be generous to call this the Roman pizza of the freezer aisle. 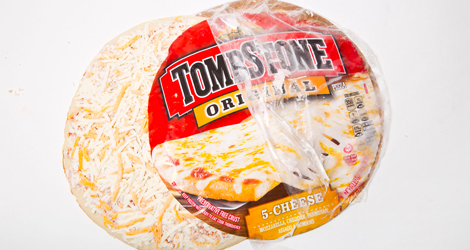 Just by looking at the two, you could easily confuse Tombstone with Red Baron—same size, same white and yellow shredded cheese combo, same thin crust. The similarities stop there—the sauce consistency was clumpy, and the cheese might have well been “natural cheese flavor” (a.k.a., “not really cheese”). Tombstone was a childhood favorite, but I’m sorry to report that it doesn’t live up to the memories. I feel empty inside. Despite holding a pretty consistent place in in the upper echelon of the frozen-pizza family, this pie was disappointing. The crust reminded me of a biscuit—and not in the good, cornmeal crust way of a Chicago deep-dish. It made me want chicken, not cheese and tomato sauce. 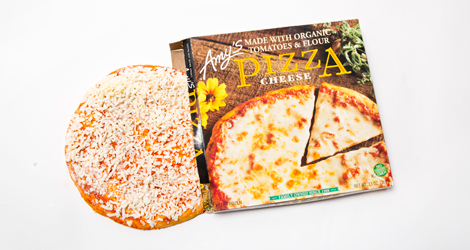 As my pizza-eating colleague put it: “It tastes like a condom smells.” So there’s that, too. A+ for cheese, which extended all the way to the crust where it formed a crispy brown ring along the border. You could even peel off some of the cheese strands, reminding me of those crunchy burnt ends that you find in BBQ. But dude—the sauce. It tasted like it came straight outta the cafeteria, more ketchup-y than tomato-y. You almost had me, Celeste. This was a french-bread pizza impostor (not quite thick enough to qualify), but the rectangular shape won me over since it reminded me of one of my favorite spots back in Los Angeles, Barone’s. 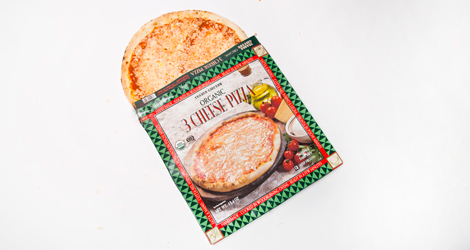 I was less enthused about the cheese coverage and the exposed areas of barren pie, but it has a really good sweet and herbaceous tomato sauce—maybe the best out of the bunch. Great cheese coverage on this pie, with a crust that is puffy and slightly chewy. My one knock is the cheese—at least it wasn’t gloppy like some of the other pies, but it definitely lacked the salt content to make it craveable. 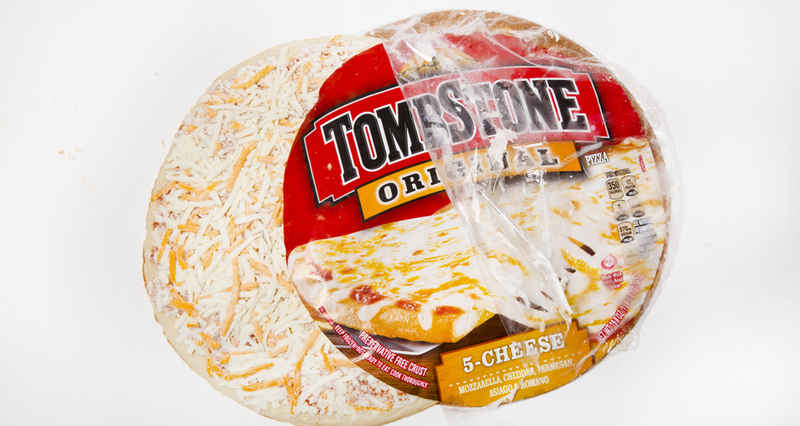 I admire a pizza that is cloaked in cheese. As much as George Costanza desires to be ensconced in velvet, I want my pizza to be drowning in dairy—which is why I’ve always been in the Pizza Hut camp instead of Domino’s. (*Ducks from flying object thrown at head. 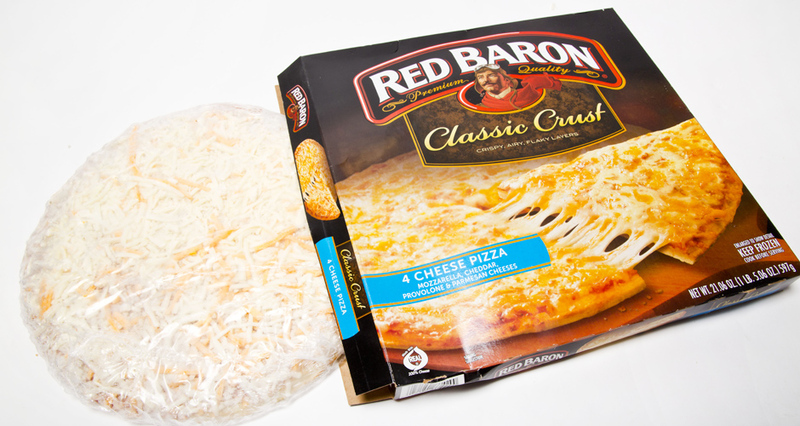 *) Red Baron is a stand-out for this very reason. The pie has cheese (shredded ‘white and yellow’) covering every square inch, creating a shell to trap the uber-garlicky tomato sauce beneath it. Fly on, soldier. A good frozen pizza should aspire to taste like a dollar slice, and that’s exactly what Amy’s has achieved here. Was I surprised that the health-conscious franchise could pull off a win in a pool of frozen aisle heavyweights? Absolutely. The cheese-to-sauce ratio was excellent, with neither ingredient looking to overpower the other. This felt like a real slice—something you could easily fold in your hand without experiencing major pizza sag.